The distillery was constructed by Donald, McLeod & Co in the early 1830s and originally rejoiced in the name ‘Invernettie’. 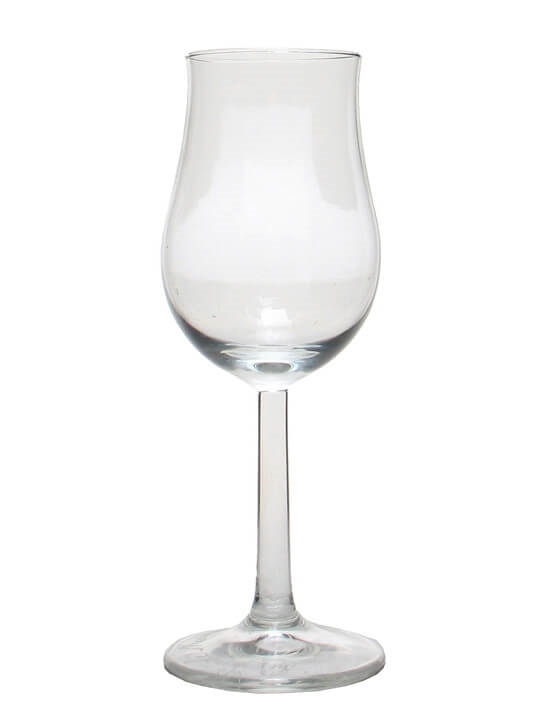 It used to have the distinction of being the easternmost distillery in Scotland as it was located near the town of Peterhead in the Eastern Highlands north of Aberdeen. The first spirit ran off the stills in 1837, but the distillery struggled after that and at one point was converted to a brewery. Eventually it was rebuilt as Glenugie under new owners, Scottish Highland Distillers in 1875. 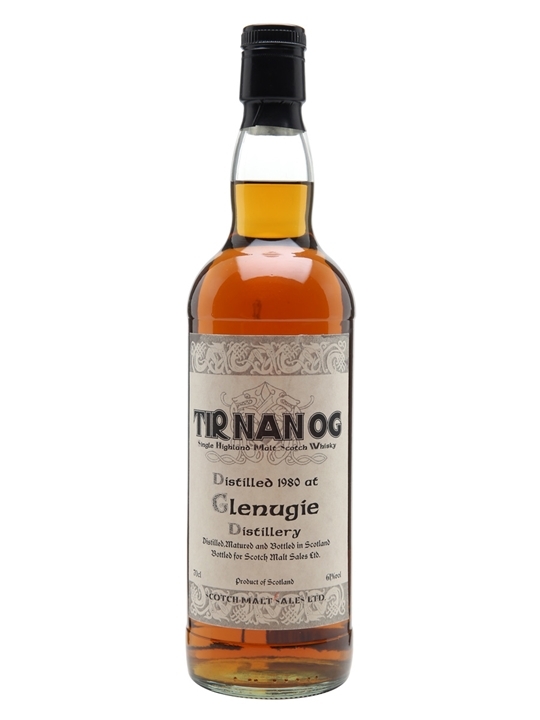 Summary: 70cl / 61% / Independent Bottling – A rare release of 1980 Glenugie under the Tir Nan Og banner. This was bottled for Scotch Malt Sales in Japan at a cask strength of 61%. 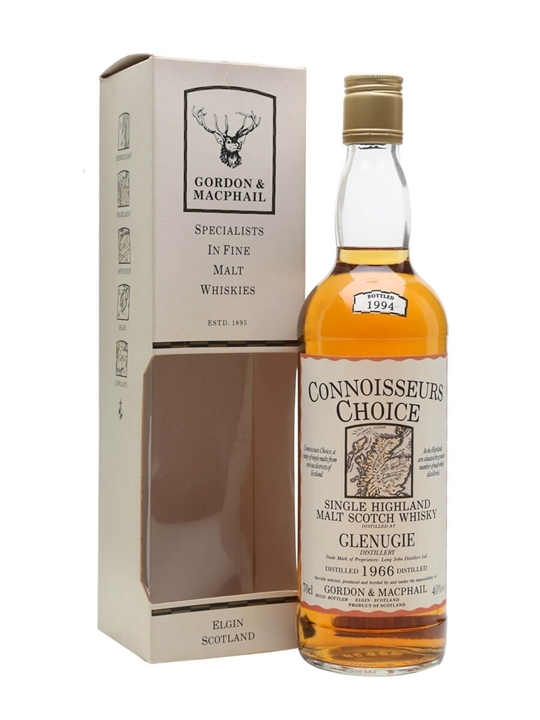 Summary: 70cl / 40% / Gordon & MacPhail – An old 1990s Connoisseurs Choice bottling of Glenugie 1967 by Gordon & Macphail. 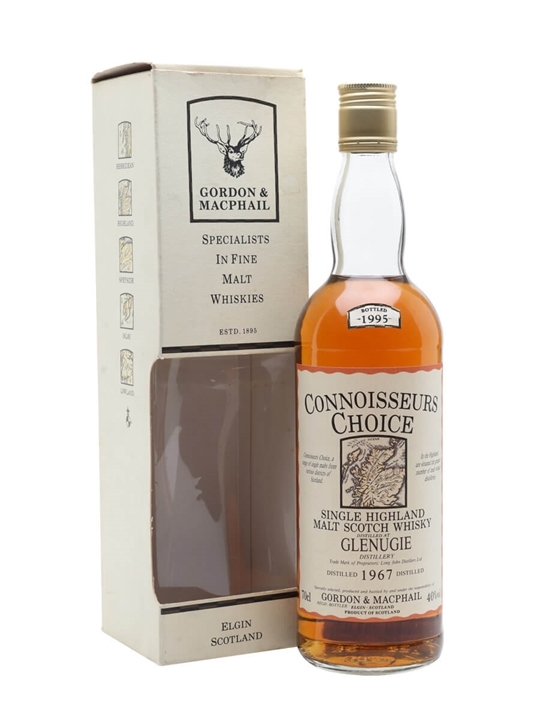 Summary: 70cl / 40% / Gordon & MacPhail – A 1990s bottling of Glenugie 1967 for Gordon & Macphail's Connoisseurs Choice series. 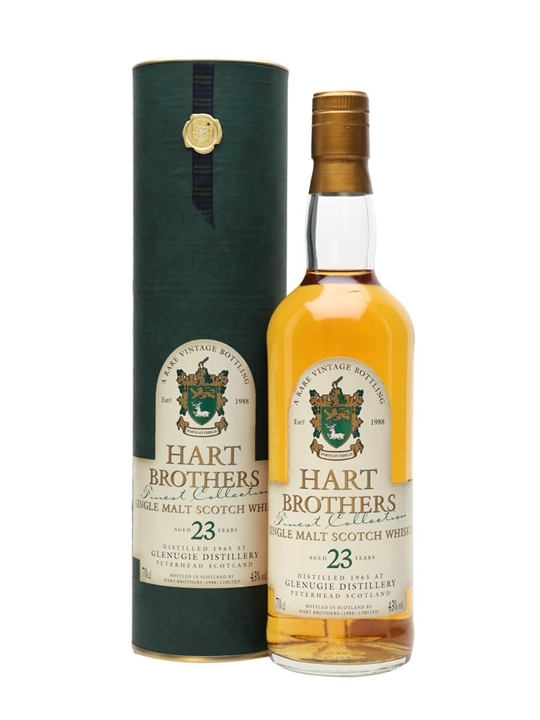 Summary: 70cl / 43% / Hart Brothers – A 1965 vintage Glenugie bottled by Hart Brothers at 23 years old in the late 1980s. 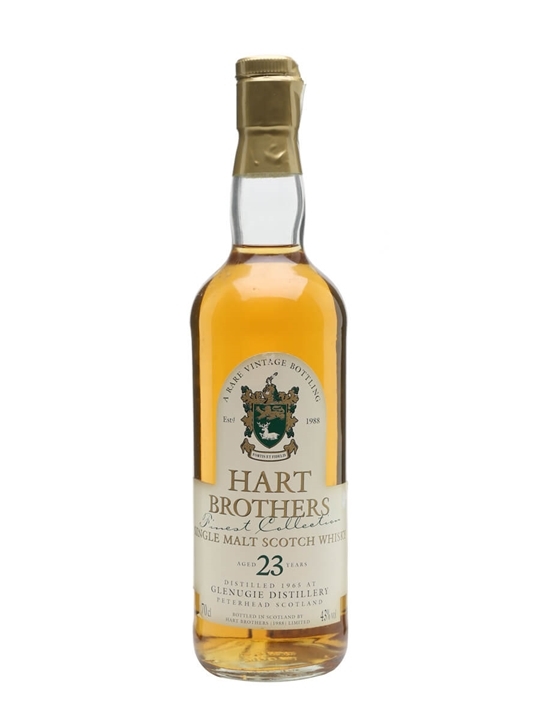 Summary: 70cl / 43% / Hart Brothers – A 1965 vintage Glenugie bottled by Hart Brothers at 23 years old. 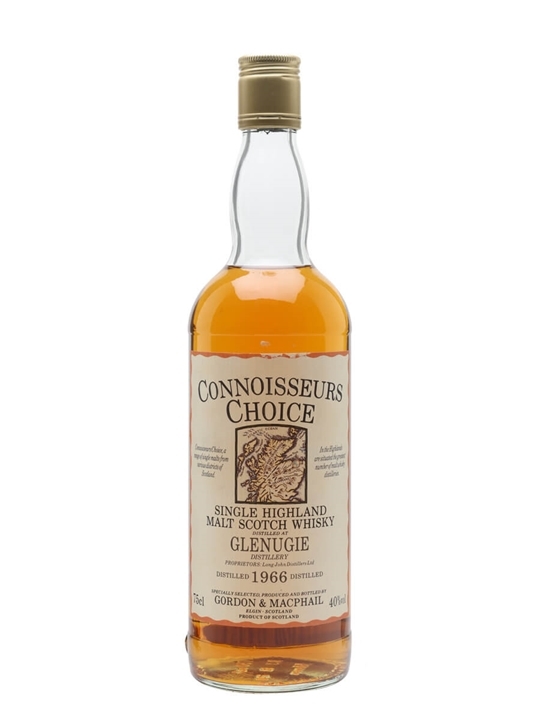 Summary: 75cl / 40% / Gordon & MacPhail – An old bottling of 1966 vintage Glenugie released as part of the Connoisseurs Choice series. We estimate this bottle dates from the 1980s. 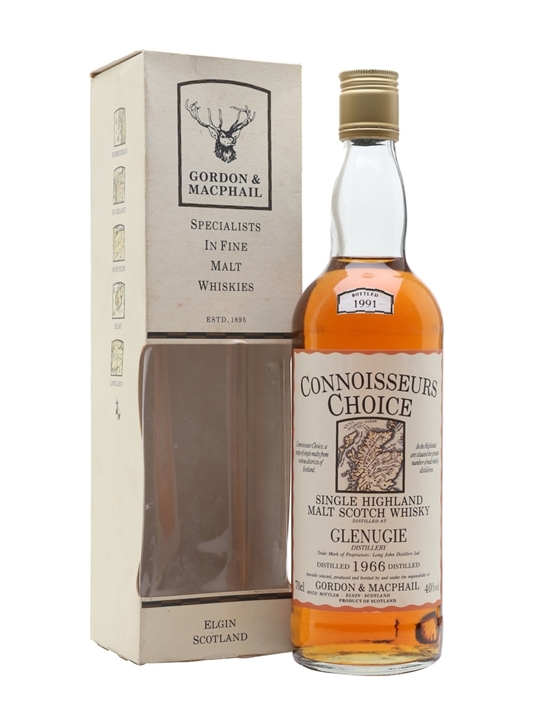 Summary: 70cl / 40% / Gordon & MacPhail – A 1966 vintage Glenugie released by independent bottlers Gordon & MacPhail as part of the Connoisseurs Choice series. As Jim Murray once said, "…this distillery never seems to let you down. 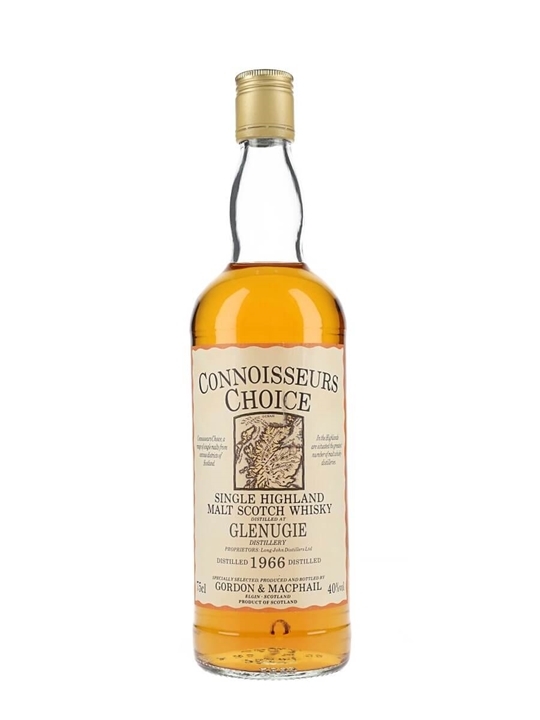 The rule of thumb is: find a bottle of Glenugie and you'll find liquid gold." 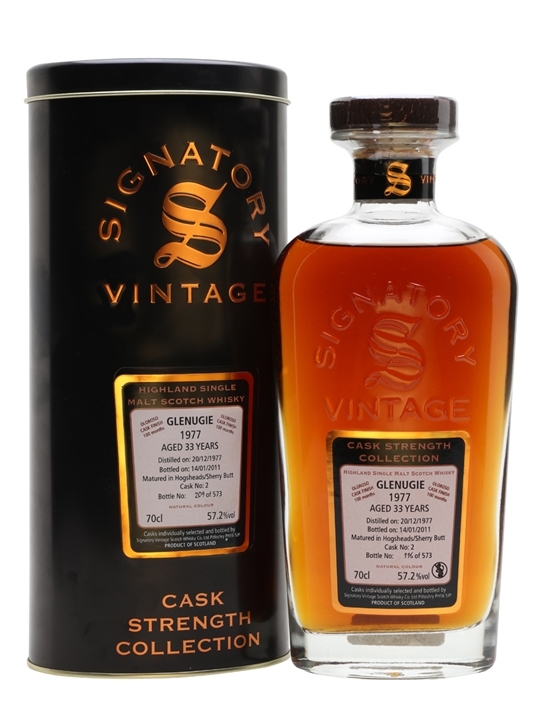 Summary: 70cl / 51.8% / Signatory – A very rare Signatory bottling of Glenugie 1976 from a single cask, bottled in 2001. 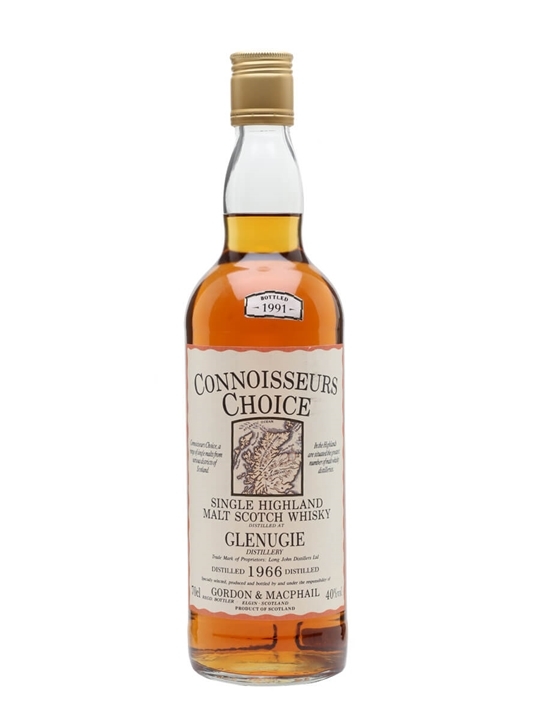 The vast majority of Glenugie's spirit went for blending and the distillery was closed in 1983, so single malt expressions are rather rare nowadays. Summary: 70cl / 50% / Douglas Laing – A 1976 vintage Glenugie from indie bottler Douglas Laing as part of the Old Malt Cask series. Distilled the year after the distillery was purchased by brewers Whitbread and seven years before it closed for good. 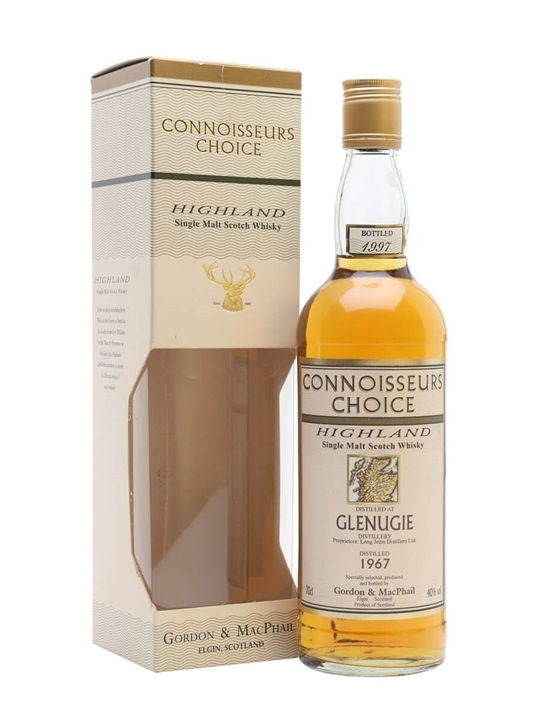 Summary: 70cl / 51.1% / Signatory – A 27 year old bottling of whisky from sadly closed and now dismantled Glenugie. 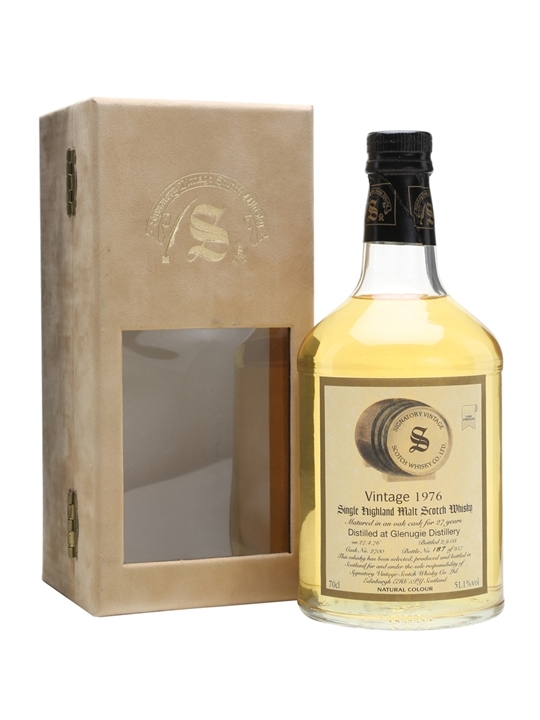 Distilled in 1976 and bottled in 2003 by Signatory. 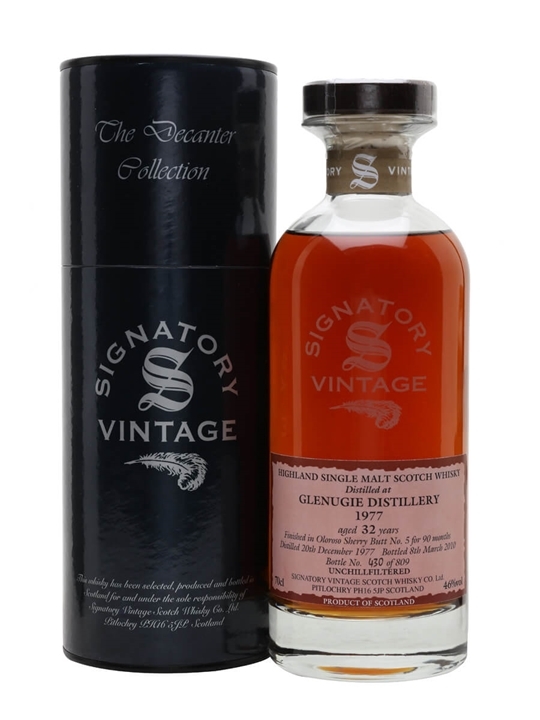 Summary: 70cl / 46% / Signatory – A vintage bottle of Glenugie from independent bottler Signatory. 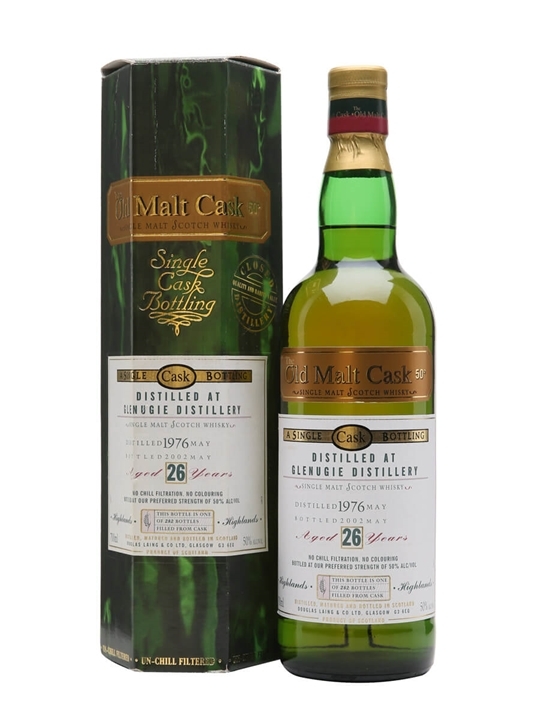 This was distilled on the 20th December 1977 and aged for 32 years, of which seven were spent in Oloroso sherry cask #5. The Glenugie Distillery was one of many distilleries that closed down in 1983. 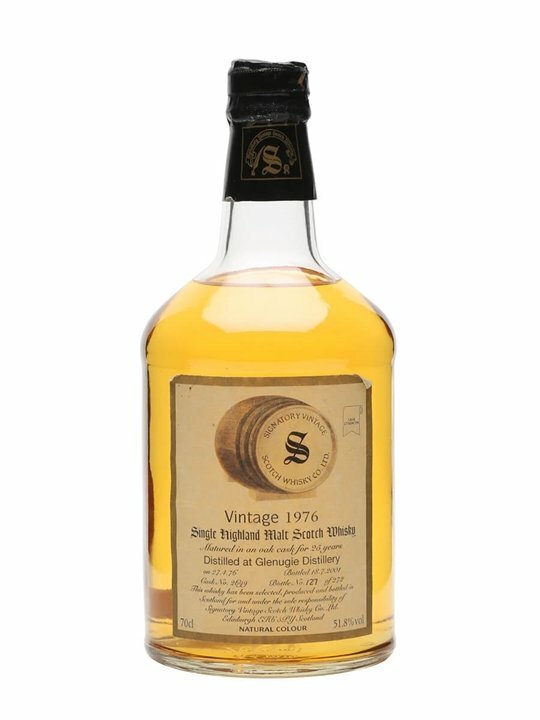 Only 809 bottles of this whisky were released. Summary: 70cl / 57.2% / Signatory – A tremedously rich and colourful single cask of the sought-after Glenugie, this has spent its last 100 months of maturation in an Oloroso cask, picking up an extremely fetching russet hue en route.